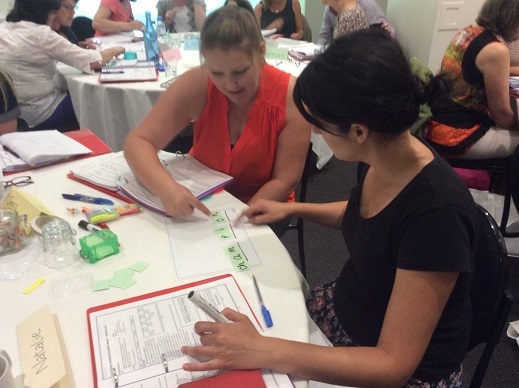 Last week I played local host to the first Melbourne Sounds~Write four-day training, attended by 31 fabulous teachers and speech pathologists from Victoria, NSW and ACT. 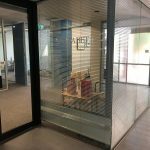 I travelled to Perth for this course last year, and really liked it because of the strong emphasis on empowering teachers to teach really well, and the noticeable lack of sales pitches for glossy, expensive materials. I’m convinced that if a course like this were included in teacher undergraduate courses, and offered to current early years and specialist literacy teachers, many or perhaps most of children’s current literacy difficulties could be prevented, or speedily remediated, in a time and cost-efficient way. The course builds teachers’ understanding of our sound and spelling system, and provides the skills and all the materials to teach it, with classes, small groups or individuals. 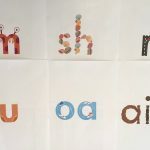 Unlike many phonics programs, it works right through from little words to long multi-syllable ones containing complex and unusual spellings, and organises them all in a consistent and logical way. Education graduates often tell me that they learnt next-to-nothing useful about sounds and spellings at university. In schools I see many, many teachers who are simply fabulous at nearly everything they do, except phonics. There is (as one course participant put it) a black hole in teachers’ phonics knowledge and skills, and it needs to be closed. I’ve found in life that it’s usually more effective to just start tackling a problem than complain about it. Years ago I got so fed up with the filthy windows at work that I arrived early one sunny morning, got a bucket and squeegee, and cleaned all the downstairs front ones. Everyone including the upstairs top brass walked past me on their way into the building, begging the question, “Why is a Speech Pathologist cleaning the widows?” Then people noticed that the downstairs front office was much nicer with clean windows, and that the rest of the building by contrast looked pretty grubby. About a week later, professional window cleaners were called in to make the whole building sparkle. Once you provide a good, visible solution to a problem, people understand the problem better. They start talking about both problem and solution to others, and get involved in solving it too. If this continues, the people really responsible for providing the solution come on board, and often soon think the solution was all their idea in the first place (fine with me!). So I’m hoping that providing some really high-quality, classroom-tested synthetic phonics training here will have a bigger effect on the local educational community than any number of letters to the Minister or hours spent in committees. Also, I really hate the way criticism of the way early literacy is taught too easily turns into teacher-bashing in the media. 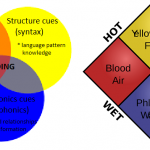 How are teachers supposed to teach using synthetic phonics when they’ve had no training in it? In any case, the National Foundation English standards encourage teachers to teach in a mess-of-methods way – onset-rhyme, guessing, high-frequency words etc. and the terms “blending”, “segmenting”, “grapheme” and “word structure” don’t even appear in the standards. I filmed bits and pieces of the course with my trusty iPad, and at the end of each day asked a few participants for feedback, which I have edited into a 15-minute video, which I hope gives you an idea of what the course was like, and what people thought of it. Here it is. 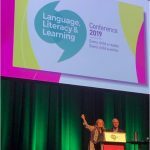 The course presenters were Mary Gladstone from NSW and John Walker from the UK, one of the authors of the Sounds~Write synthetic/linguistic phonics program. Both have decades of teaching experience and are skilled presenters, as well as being very funny, nice people with whom it was a pleasure to work. Teachers need and deserve training that helps them teach learners about sounds and spellings confidently and well. It is simply crazy that most current teachers are equipped to teach children about word meaning, but not word structure. 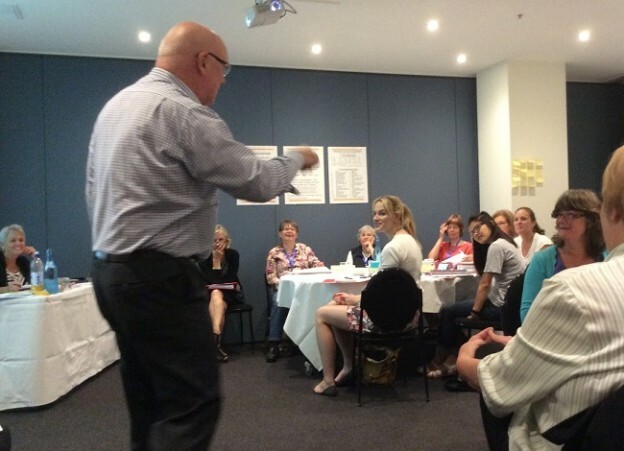 So I’m hoping lots of teachers will go on my waiting list for another Melbourne Sounds~Write course, and that we can run another one in mid-2015. Email me on spelfabet@gmail.com if you’re interested. 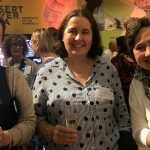 If you’re going to the UK, Sounds~Write training is run regularly there, click here for upcoming dates and locations. Thanks so much to John and Mary as well as Mary’s husband Malcolm (Our Man In Logistics), for travelling to Melbourne to run the course, working so hard on it, and making it such a success. Thanks also to participants Wendy, Jean, Cheryl, Robyn, Lauren, Anna, Justine, Anne, Alison, Kristin, Kim, Suzanne, Kirsten, Laurel, Muriel, Rosie, Janine, Kathleen, Natalie, Karen, Liana, Diane, Liz, Josie, Helen, Penny, Emily, Jesse, Merrian, Melissa and Stephanie, who took four days out of their summer holidays to improve what were already strong knowledge and skills. John kept commenting, “This is a very good group, they’re very knowledgeable and interested, aren’t they?”. Any child who works with any of them is, IMHO, very lucky. 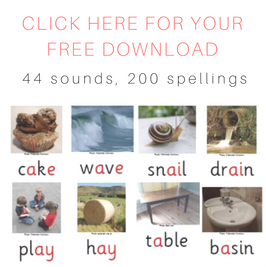 This entry was posted in phonics activities, sound-letter links, sounds, spellings, teaching strategies on January 28, 2015 by alison. 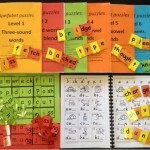 I have done Sounds Write and also used it with my son who was struggling to read. It is truly amazing and so simple. I cannot understand why it is not a compulsory part of our teacher training courses. As the author of this article said, we as trainee teachers were given next to nothing as to how to teach phonics effectively. This course is a gem (and so are Mary and Malcolm who were the presenters/techo wizz for the course I undertook).